We start with a thorough consultation to determine which classic or contemporary cutting/styling technique will complement your facial features. All haircuts include a stress-relieving scalp massage and blow-style finish. We start with a thorough consultation to determine which classic or contemporary cutting/styling technique will complement your facial features. This haircut includes a stress-relieving scalp massage and an enhanced style option when a simple blowout is not going to create the look you desire. Your stylist will use a variety of styling tools to create a look otherwise unachievable with a blow-dryer and brushes. We start with a thorough consultation to determine which classic or contemporary cutting/styling technique will complement your facial features. 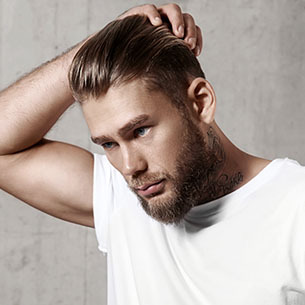 Men's haircuts include a stress-relieving scalp massage and a hot towel treatment. Performed on dry hair, this touch-up service is offered between regular haircuts to refresh the hairstyle. Classic beard grooming includes shaping and trimming of the beard and or mustache. This is a classic shampoo and blow style using a variety of round brushes and blow-styling techniques. An enhanced style option when a simple blowout is not going to create the look you desire. Your stylist will use a variety of styling tools to create a look otherwise unachievable with a blow-dryer and brushes. Special occasion hair styling for proms, weddings, or special events. Artistic stylists will use a variety of styling tools to create a unique look using various modern or classic finishes. Additional charge may apply for the placement of accessories and hairpieces. We highly recommend a practice session prior to the days' event! This is a haircut and style in which the hair is donated to the Locks of Love organization who crafts hairpieces for children suffering from long-term medical hair loss. This offer is available Monday through Wednesday from 8 a.m. to 3 p.m. All appointments must be booked online up to seven days in advance. 10" measured tip to tip is the minimum length needed for donation. Hair that has been bleached (usually this refers to highlighted hair) is not usable. If unsure, ask your stylist. If the hair was bleached years ago and has completely grown out it is fine to donate. We cannot accept dreadlocks, wigs, falls, hair extensions or synthetic hair. The manufacturer is not able to use them in their hairpieces. Layered hair is acceptable if the shortest layer is 10 inches. Visit locksoflove.org for more information. A partial curl creation service performed in an isolated or troublesome area only. Traditionally, used in the fringe or crown. Haircut not included. See Texture Information Folio for pre and post-care and contraindications. If this is your first texture service or first visit to Simonson’s, a consultation is recommended prior to booking your appointment. Mid-length curl creation is a texture service (perm) designed for hair length that falls at the shoulders. Haircut not included. A perm for hair that falls at or below the shoulder blades. Haircut not included. Thermal straightening is a permanent hair straightening treatment is ideal for people with wiry, coarse, and curly hair. This service delivers soft, shiny, straight and frizz-free hair. A breakthrough intense smoothing service that will reduce curl* and frizz by 90%! Now those of you with unruly curl or frizz have the luxury of smooth, straight, soft, beautifully-manageable hair without the need to blow-dry or flat-iron daily. And bonus, your hair will dry in half the time! Repeat the service every three to six months or as-needed. *Curl reduction is based on the initial curl size. Smaller curl patterns (closer to the diameter of a pencil) will achieve 50% curl reduction with 90% reduction in frizz. 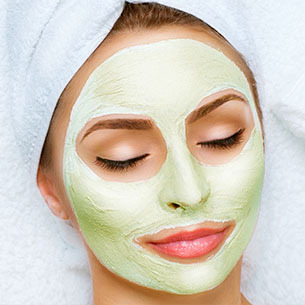 This smoothing therapy is a great alternative to the harsh sodium hydroxide relaxers of yesterday. 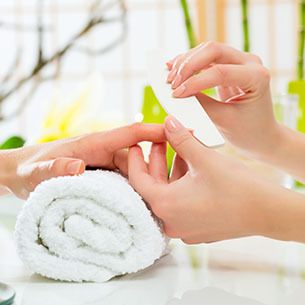 Longevity of the service is highly dependent on daily care with the appropriate products. If your water has a high mineral content, we highly recommend pairing this service with a Mineral Removal Treatment the same day. See Texture Information Folio for pre and post-care and contraindications. If this is your first Keratin service or first visit to Simonson’s, a consultation is required. Please call us to book your 15-minute appointment. A stylist will determine the appropriate service for your needs at that time. A revolutionary new service that reduces curl and frizz on the most unruly hair and will deliver 50% less blow-dry time and allow styling with ease. Repeat the service every eight weeks or as-needed. This cold smoothing curl-reduction treatment is for hair shorter than shoulder length. A curl-reduction treatment is ideal for people with wavy, curly or unruly frizzy hair. This service delivers soft, shiny and frizz-free curl reduction. Cold smoothing mid-length is a curl-reduction treatment ideal for people with wavy, curly or unruly frizzy hair. This service delivers soft, shiny and frizz-free curl reduction. For hair that falls below the shoulders. All-over color is a service designed to enhance, deepen or lighten the natural hair color. The right color can enhance a person’s natural beauty. Our skilled stylists combine quality products with advanced techniques to achieve the desired effect. There are many solid and dimensional color options available to meet a variety of outcomes, maintenance, and budgets. A base price is listed, however your final price is determined during your consultation and is based on many factors such as hair length, technique, and the need for multiple formulations or processes. See Color Enhancement Information Folio for pre and post-care and contraindications. If this is your first color service or first visit to Simonson's, a complimentary consultation is recommended prior to booking your appointment. All-over lightening is a service designed to significantly lighten natural hair color or remove and lighten previously tinted hair. The right color can enhance a person’s natural beauty. Our skilled stylists combine quality products with advanced techniques to achieve the desired effect. There are many solid and dimensional color options available to meet a variety of outcomes, maintenance, and budgets. A base price is listed, however your final price is determined during your consultation and is based on many factors such as hair length, technique, and the need for multiple formulations or processes. A base break is ideal for an "in-between" highlight service that brightens your natural hair a few shades to minimize the harsh lines of a regrowth. Men's CAMO grey hair camouflage color is designed specifically for men who want to have a natural, blended effect that reduces the amount of grey in five minutes or less. Color gradually fades and grows out naturally – eliminating that unattractive, re-growth appearance that traditional hair color can leave behind. Does not include a haircut. The fashion-forward balayage technique (a French word that means “hand-painted”) is an artistic highlight that creates free-form dimensional variation to complement your hairstyle’s shape and movement. The right color can enhance a person’s natural beauty. Our skilled stylists combine quality products with advanced techniques to achieve the desired effect. There are many solid and dimensional color options available to meet a variety of outcomes, maintenance and budgets. A base price is listed, however your final price is determined during your consultation and is based on many factors such as hair length, technique, and the need for multiple formulations or processes. Dimensional foils are a highly customizable technique that allow for endless possibilities. From soft and natural, to bold and vibrant, foil highlights are expertly placed ribbons of color(s) throughout the hair. Dimensional accents are added to the hair with 10-12 foils. Great for face framing or isolated accent pieces. Limited to one color. Vibrant Hair Color Dimensional hair color (foil highlights or Balayage) or solid techniques using vibrant hues like pink, purple, etc. to create expressive modern looks. This high-fashion color is achieved with a number of techniques that may include extra tools and application steps to achieve your personalized style. Due to the specialized nature of this service, a consultation is highly recommended prior to scheduling this service. This ensures the Stylist chosen is a perfect for your vision. The right color can enhance a person’s natural beauty. Our skilled Stylists combine quality products with advanced techniques to achieve the desired effect. There are many solid and dimensional color options available to meet a variety of outcomes, maintenance and budgets. A base price is listed, however your final price is determined during your consultation and is based on many factors; length, technique, and the need for multiple formulations or processes. If this is your first color service or first visit to Simonson's, a consultation is recommended prior to booking your appointment. This mineral removal treatment effectively removes hard water, iron, chlorine, and medication build-up on the hair. Receiving this treatment prior to any chemical service ensures the color, perm, or straightening service performs optimally. Olaplex is a two-step treatment that prevents damage and repairs chemically-treated hair during a lightening service. Your stylist will choose the most appropriate treatment solution for the specific needs of your hair. All treatments are available when paired with a haircut or chemical service. The Moroccanoil ChromaTech Treatment is a 360 degree approach to hair color by targeting the five main hair color degradation factors: heat, oxidation, scalp health, mechanical damage and chemical damage. This pre and post color treatment repairs and seals color deep inside the hair to deliver maximum color longevity, plus added shine and luster. Have the hair you’ve always dreamed of…whether you desire more thickness, length, or both. Simonson’s extensions are a 100% human hair tape-in system and come in an amazing variety of lengths, with solid or multi-colored options. Extensions are safe for your own hair, delivering longer hair today, but ensuring that your own hair stays healthy throughout the process. With so many fashionable options, you can express your style with natural, seamless flowing tresses or funky, head-turning dramatic accents. The choices are endless. We offer same-day or special order options (with a deposit, your customized hair extensions will be ordered and your installation appointment set). Extensions require regular maintenance and diligent care to ensure they look their best. Hair is not returnable. 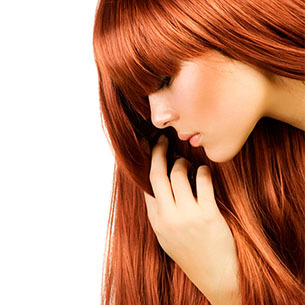 See Hair Extensions Aftercare Information Folio for pre and post-care and contraindications. The number of times the hair may be reused will be determined by how well the hair has been cared for. Consult your stylist to ensure you take proper care to protect your investment. See Hair Extensions Aftercare Information Folio for pre and post-care and contraindications. This service is for permanent removal of our extension brand. The service generally takes one hour, however more time may be needed if extensions are matted or tangled. The service is charged by the hour. Lash Tinting darkens natural lashes. A welcomed alternative for allergy sufferers, sports enthusiasts and those short on time. Lasts up to eight weeks. A customized formulation that defines the shape and maximizes the appearance of natural brows. Lash and Brow Tint saves time and money when combined. A customized formulation that defines the shape and maximizes the appearance of natural brows. Darken natural lashes; A welcomed alternative for allergy sufferers, sports enthusiasts and those short on time. Lasts up to eight (8) weeks. An eyebrow design accentuates and lifts eyes immediately! Includes cleansing, shaping with wax, light tweezing/trimming and a protective finale. Available with your stylist or aesthetician. If you prefer a wax-free service, please call to book out tweezing service. See Waxing Information Folio for pre and post-care and contraindications. Remove unwanted brow hair easily and thoroughly with a masculine shape, leaving skin smooth to the touch. Available with your stylist or aesthetician. Remove unwanted hair easily and thoroughly from the upper lip, leaving skin smooth to the touch. Available with your stylist or aesthetician. A money-saving combo. Remove unwanted hair easily and thoroughly, leaving skin smooth to the touch. Available with your stylist or aesthetician. Remove unwanted cheek or chin hair easily and thoroughly, leaving skin smooth to the touch. Available with your stylist or aesthetician. Remove unwanted ear hair easily and thoroughly from the ears, leaving skin smooth to the touch. Available with your stylist or aesthetician. Avoid those embarrassing nose hairs! Remove unwanted nose hair painlessly, easily and thoroughly. Available with your stylist or aesthetician. Do it all – brow, ear and nostril detail. Available with your stylist or aesthetician. A cost-saving service that includes brow, cheek, chin and lip. Available with your stylist or aesthetician. Remove unwanted underarm hair easily and thoroughly, leaving skin smooth to the touch. Hair must be ¼ inch long for successful results. Available with your aesthetician. Remove unwanted arm hair easily and thoroughly from the lower arm area, leaving skin smooth to the touch. Hair must be ¼ inch long for successful results. Available with your aesthetician. Remove unwanted arm wax hair easily and thoroughly from the full arm area, leaving skin smooth to the touch. Hair must be ¼ inch long for successful results. Available with your aesthetician. Remove unwanted lower leg hair easily and thoroughly from the ankle to knee, leaving skin smooth to the touch. Hair must be ¼ inch long for successful results. Available with your aesthetician. Remove unwanted leg hair easily and thoroughly from ankles to upper thigh, leaving skin smooth to the touch. Hair must be ¼ inch long for successful results. Available with your aesthetician. 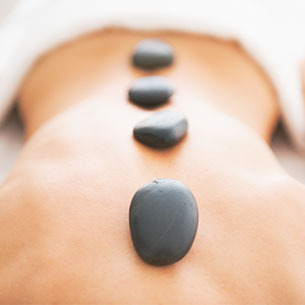 Remove unwanted stomach hair easily and thoroughly from the abdomen area, leaving skin smooth to the touch. Hair must be ¼ inch long for successful results. Available with your aesthetician. Remove unwanted hair easily and thoroughly from chest to shoulders, leaving skin smooth to the touch. Hair must be ¼ inch long for successful results. Available with your aesthetician. Remove unwanted hair easily and thoroughly from waist to shoulders, leaving skin smooth to the touch. Hair must be ¼ inch long for successful results. Available with your aesthetician. Remove unwanted hair easily and thoroughly along and just outside the bikini line, leaving skin smooth to the touch. Hair must be ¼ inch long for successful results. Available with your aesthetician. For many modern women, this personal waxing service has become a staple grooming routine. The most notable characteristic is the option to decide how much hair you wish to have removed. Hair must be ¼ inch long for successful results. Available with your aesthetician. THIS SERVICE IS NOT AVAILABLE DURING MENSTRUATION. Save time and money! This maintenance service is available for those who regularly receive their Brazilian waxing service every four weeks or less allowing us to complete the service in less time, which saves you money. Hair must be ¼ inch long for successful results. Available with your aesthetician. THIS SERVICE IS NOT AVAILABLE DURING MENSTRUATION. Prices and services subject to change. We accept Discover, MasterCard, Visa, and American Express.